Purple is the new black. 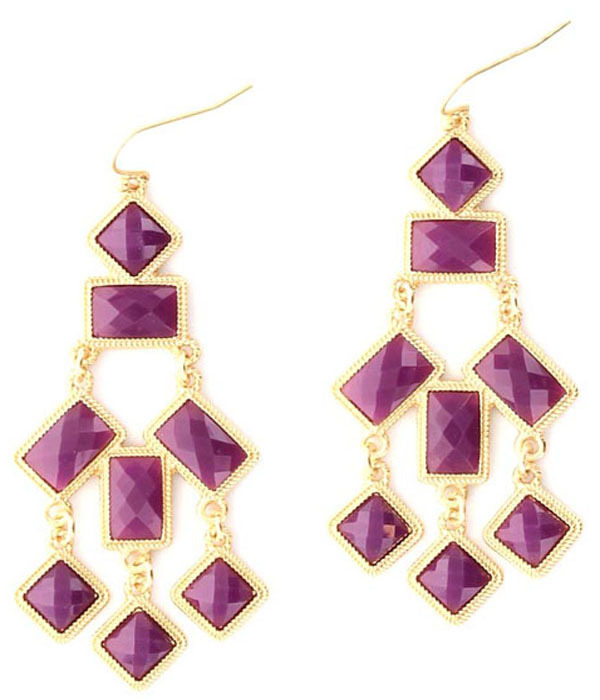 The Sunny drop earrings showcase gorgeous magenta-hued resin stones, faceted for maximum shine, against a complementary cast gold chandelier framework. A modern redefinition of Art Deco jewellery design that take your look to a higher level. Buy this high quality and cheap costume jewellery piece from our online shop today.